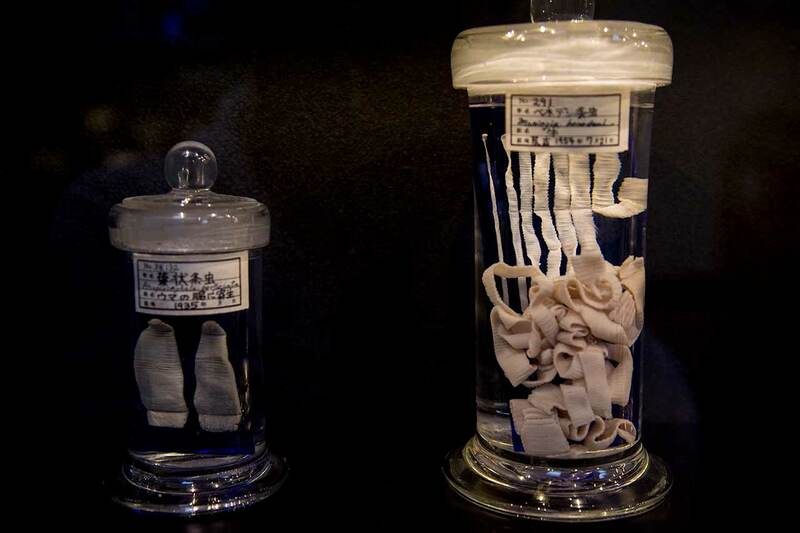 One abnormally warm winter day, Viet, Hashi, and I (Koichi) walked into the Meguro parasitological Museum: the world's largest (and probably onliest) parasite museum in the world. It was approximately a 15-minute walk from JR Meguro Station in Tokyo. If I had to do this again, I'd take a taxi, but the walk was manageable. 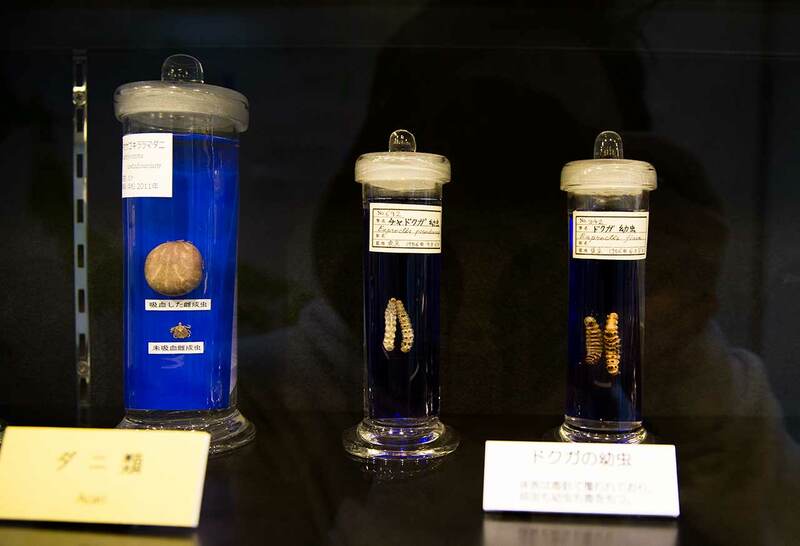 As we entered the Tokyo parasite museum, we were immediately struck by how small the room was. Our research told us this building contained 60,000 samples of parasites (not including the ones I smuggled in with my body), representing about 1,500 parasite types. Unfortunately, most of these were kept in the secret upper research floors so we had to be content with the 300 displays in the public area – each featuring scientific-looking bottles brimming with formalin, parasites, and sometimes their hosts. Personally, I have no interest in parasites. The further away they are from me, the better. Despite this, and much to my surprise, I found myself examining each and every bottle with a grotesque fascination. The samples that contained animals (hosts) infected with parasites were the most interesting. Worms coming out of a fish's eyes and thousands of little white balls bursting fort from another fish's stomach were just a few of the things I hope to never have to see again. 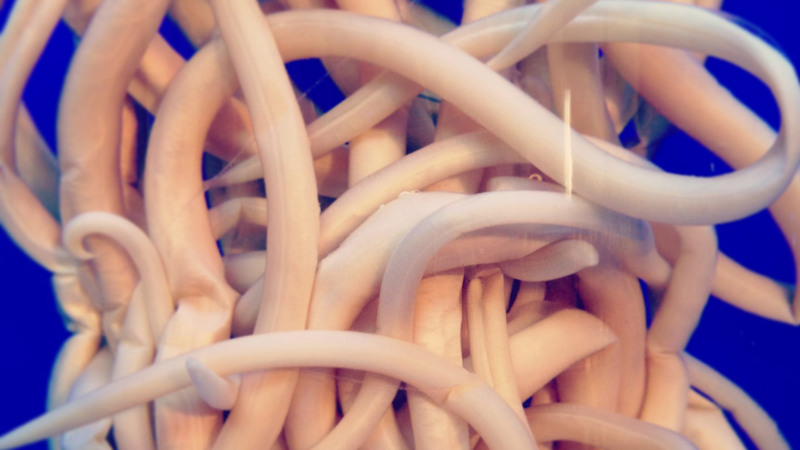 Whether you know a lot about parasites, or nothing at all (like me! 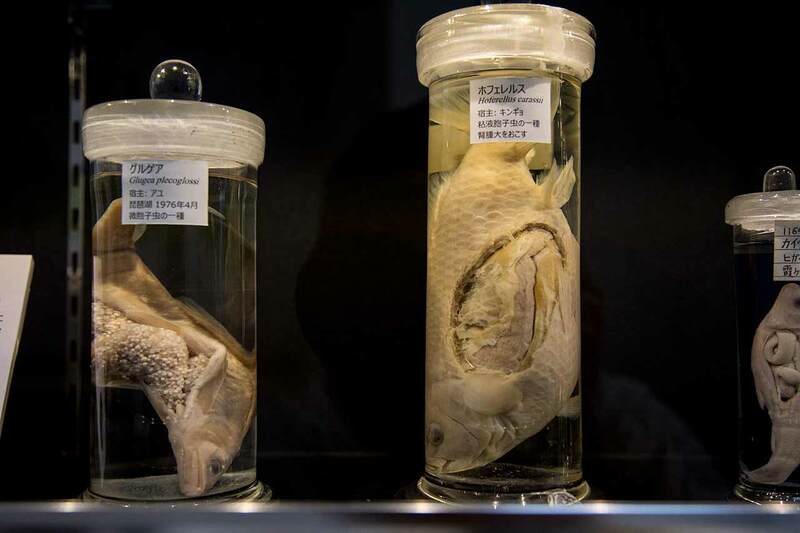 ), it's easy to look around and understand "hey, there are a LOT of parasites here…" I eventually thought, "who in the world would want to build a museum/research institution like this?" The answer to that question came after my visit, but I'll go ahead and tell you now: that person that made this possible was Satoru Kamegai, "a doctor of medical sciences." You see, back in the 1950s, hygienics weren't in tip top shape. 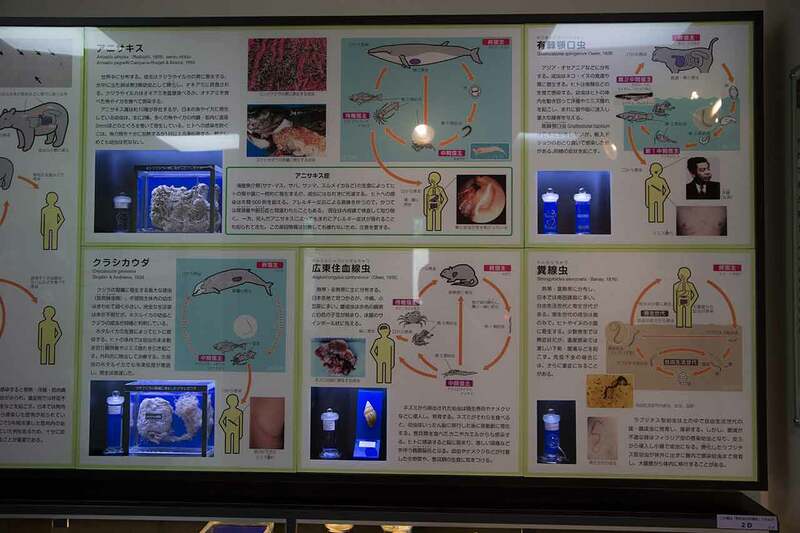 At Dr. Kamegai's clinic and at clinics all across Japan, people were getting parasites like nobody's business. Thankfully, Kamegai made it his business. He traveled around Japan, bowing and asking for people to give him their parasites. 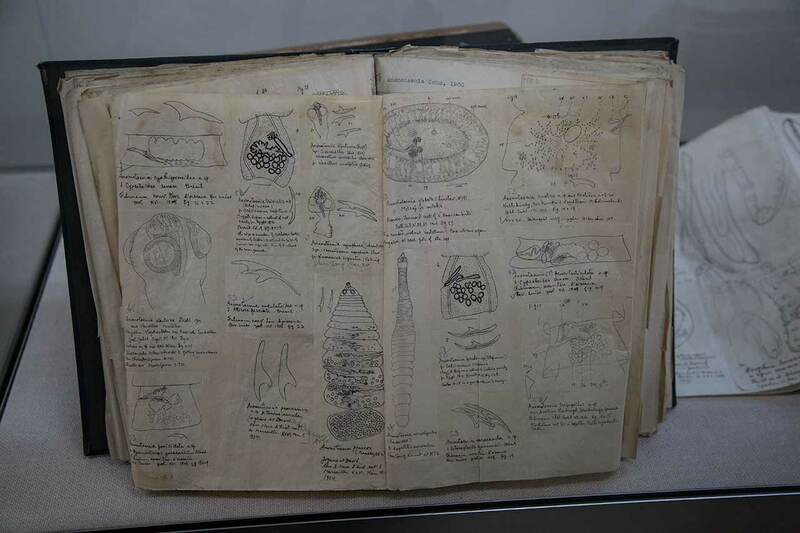 With all this hard work, and a little bit of heart worm, he founded his museum in 1953 with a few specimens, some books, and a hanging scroll. Home base ready to go, Dr. Kamegai continued his hunt in obsessive fashion. He gained a reputation for his love of parasites. He thought about them all day, apparently. It's said he even thought some parasites were kawaii. While walking outside, Dr. Kamegai would pick up feces and dead animals, examining them for new parasitic samples. He even looked at his own lunch, finding a couple new little cuties of his own! His reputation and collection continued to grow, and thanks to this (and the work of his staff), my two companions and I were able to enjoy a room filled with parasites 60 years later. We walked around the first floor ooh-ing and ahh-ing at the results of Dr. Kamegai's labors. We took pictures and wondered if we currently carried any of these parasites. It was around this time that Hashi asked if we had to pay to get in. I hadn't thought of it, but he had a point: we just walked in and started looking around. We hadn't seen another human being "touring around" besides us, and there was no ticket machine or counter. "I guess we'll find out," I said. It took about 15 minutes to look at everything on the first floor (I imagine it won't take you more than that to see everything you'd want to see). After going through all the cases here, we were ready to go upstairs. 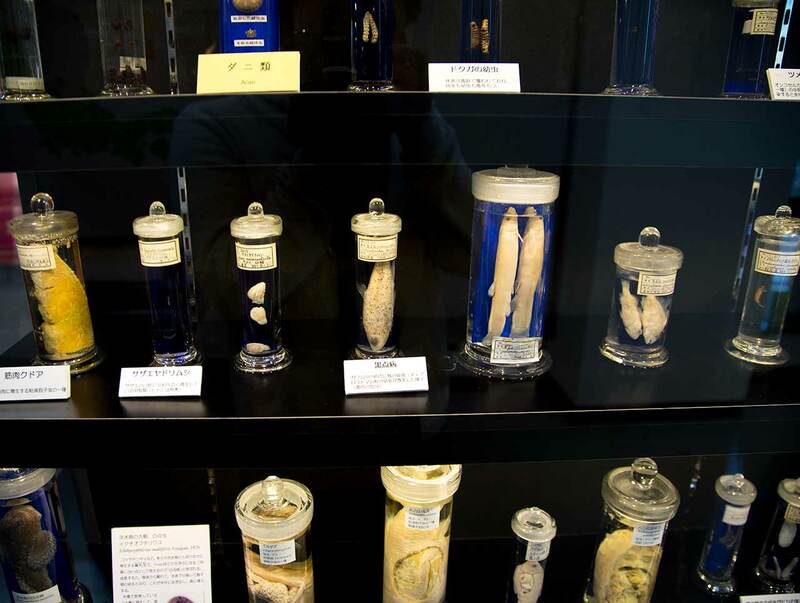 While the first floor's purpose was to show the "diversity of parasites," the purpose of the second floor was to show all the parasites humans can possibly get (as well as parasites that can be transferred from animals to humans). Fantastic! That's just the kind of brain parasite I needed. At the top of the stairs, there was one display that immediately stood out. 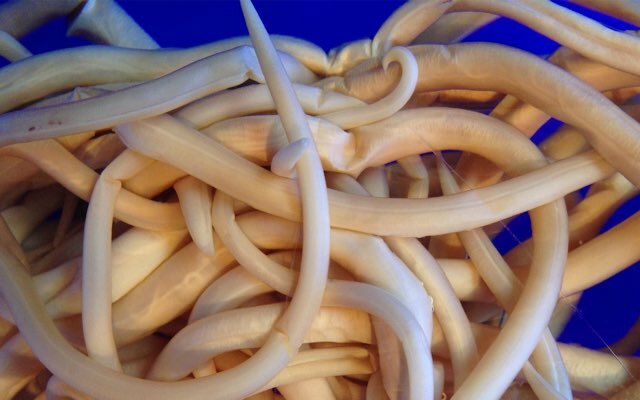 It was an 8.8 meter (28.87 foot) tapeworm someone got after eating trout sushi. It started out as a tiny little babber that eventually grew into the behemoth pictured below. 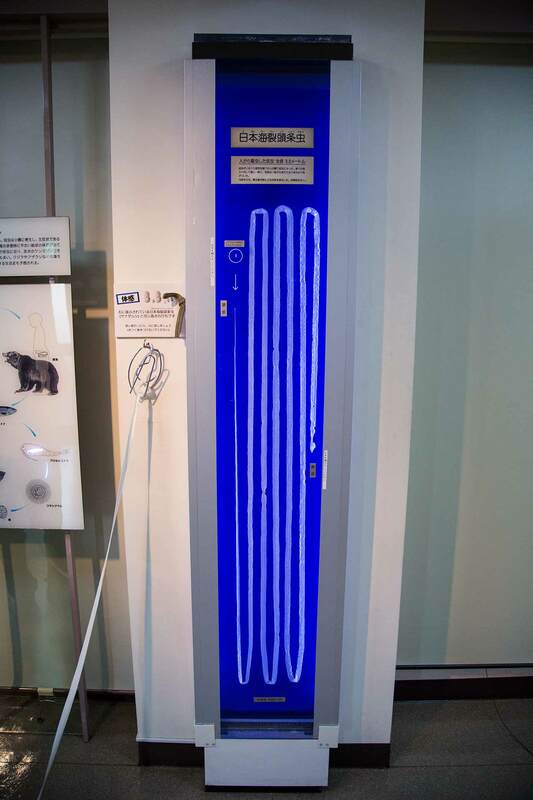 I kid you not, this tapeworm is as tall as 10.5 world's shortest escalators. As well as books filled with these hand-drawn cutie-pies. There was also a gift shop there. Unlike most gift shops, it was placed as far away from the entrance as possible. They sell some fun things, though, and the proceeds go toward the museum's work. I bought a tote bag so I could pick up any dead animals I found on my way home. If I learned anything this day, it was when life gives you dead animal bodies, you should make lemonade with them. Research: The public museum is in the first two floors of the building. Research on parasites, their morphology, taxonomy, and distribution is done in the floors above us. In addition to research, they give presentations on, you guessed it, parasites. Education: Through work-study programs, lectures, and selling prepared specimens, they educate the world on the glory of parasites. Collection: They have a lot of parasites. 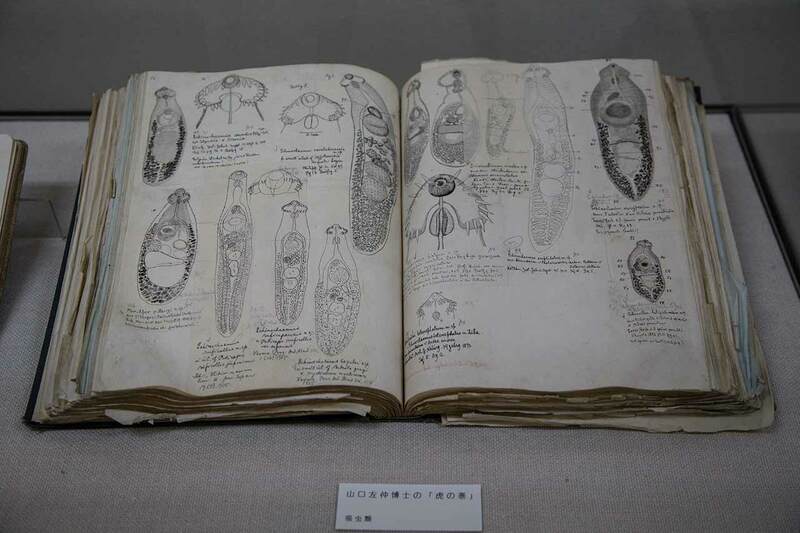 Publication: The museum publishes several documents, including Progress of Parasitology in Japan, and Research Bulletin of the Meguro Parasitological Museum. You can find the latter right here. 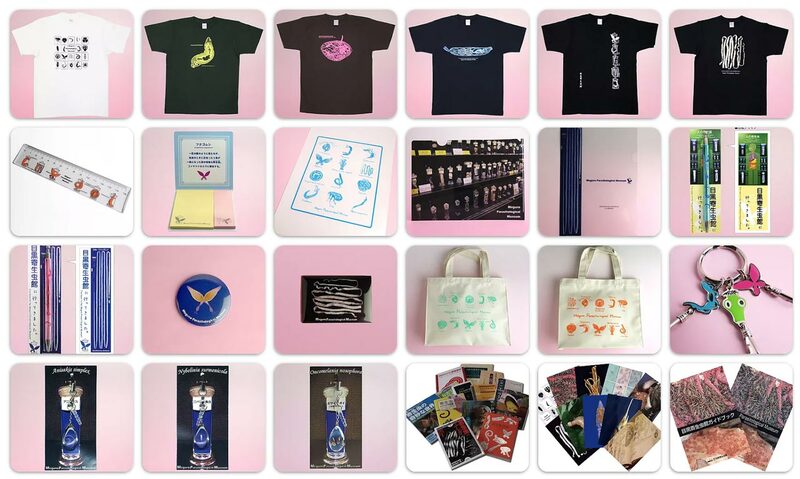 Museum Shop: Hey! That's where we were. Buy something! Support parasite research! There was also a gift shop there. I bought a tote bag so I could pick up any dead animals I found on my way home. They also told us some random trivia. Like, for example, the most common "customers" they get are single women, followed by young couples on dates. I told the staff that the three of us were on a date too, but they only laughed politely. Maybe they caught a parasite that made them lose their sense of humor, because that joke was clearly top notch. 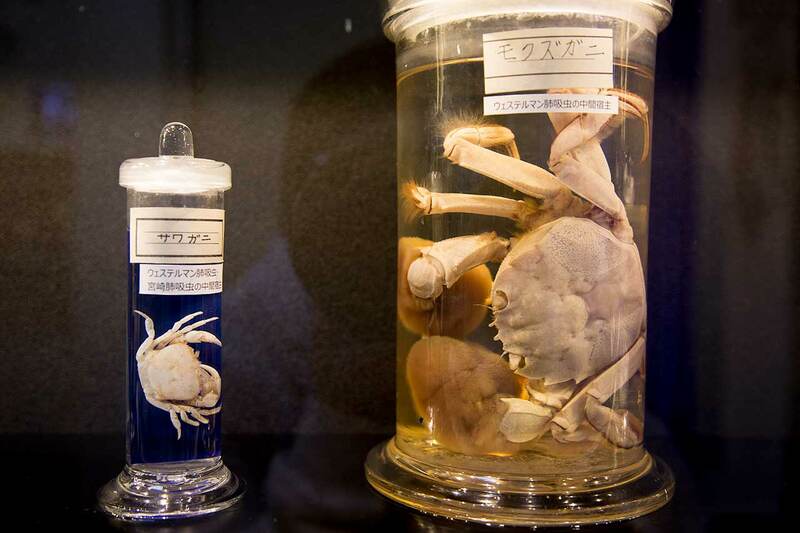 Walking back to the station, we discussed whether or not it would be worth it for others to visit the Meguro Parasitological Museum in Tokyo. I think it depends on who you are. If you're into this kind of thing, you already know you'll have a great time. It's free, after all, so you only spend time, and not much of it. If you're just looking for things to do in Meguro, it's a great choice. Again, free. 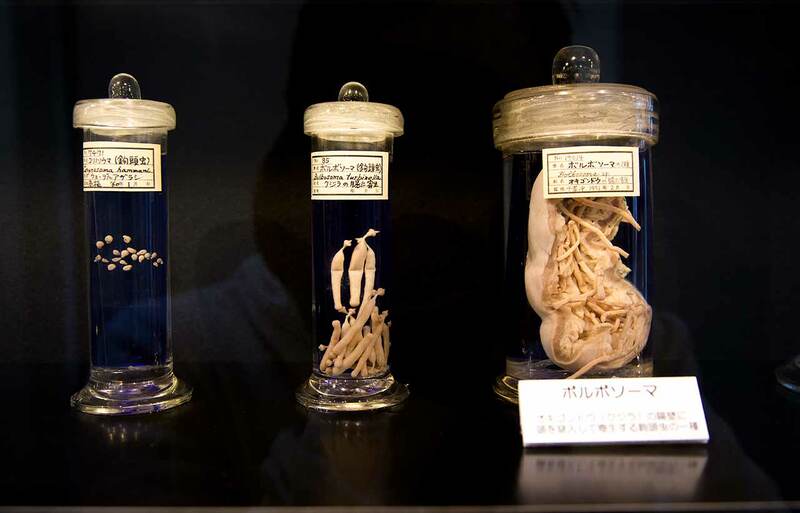 For me, the Meguro Parasite Museum is a memory that has stuck with me for a long while now. It's not the kind of thing you'll see anywhere else, and I love unique places like this. If you do visit, there's one thing I highly recommend doing: eat lunch at one of the many udon restaurants nearby. Why? Because parasites and udon look nothing alike. Right? Right?! And, in case you're already coming up with excuses for not taking my advice, I'm going to make it easy: somebody on the Internet made a lovely list of udon restaurants near the Tokyo Parasite Museum. Go, and complete the experience. I promise you'll never forget it. Bon appétit! Everyone I tell about this place seems to think it is a horrible idea. But, it was really educational, and you could see things you’d never be able to see anywhere else. I love seeing the passion projects of human beings come to fruition, and this place has a great story behind it that makes it even better. Some people may be put off by the displays, but I found it to be really interesting and informative. If you are into this kind of thing, it is worth the visit if you are in the area. You probably won't see anything like this, anywhere else in the world. There are udon shops nearby.